A unique combination of puzzle and maze games that challenges you to think ahead! A unique combination of puzzle and maze games that challenges you to think ahead! Using turn-based or real-time modes, find your way out of an ever-changing maze formed by a constant stream of overlapping blocks. Visualize, strategize, and use a power-up when all else fails. 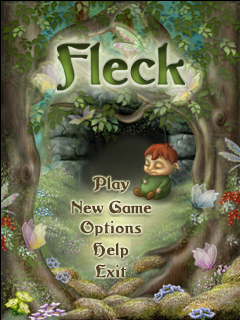 Fleck is an all-new concept that provides 20 levels of old-fashioned fun! 20 levels of addictive fun. 3 game board sizes: 5x5, 7x7, 9x9. Time or turn-based gameplay modes. Unlimited or limited moves mode. 7 different types of bonuses. Random bonuses provide numerous solutions for each level. Click here to get it from iTunes. Get it on Android Market from your device.